Oh my goodness, I can not get enough of these girls! 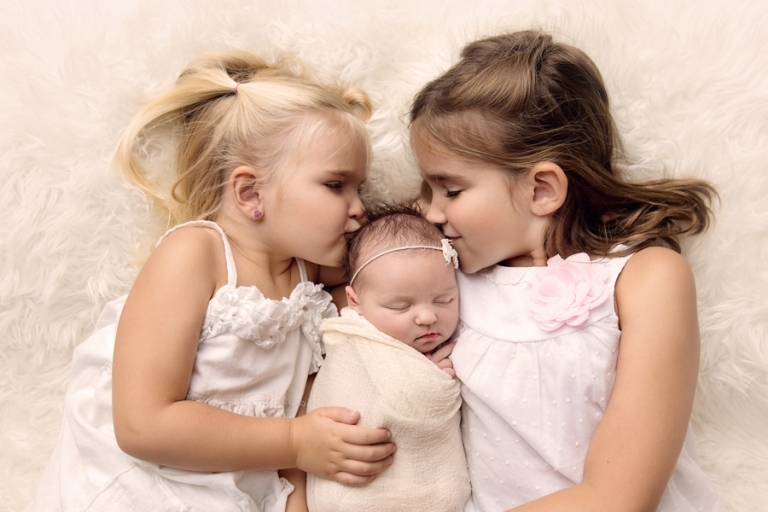 Seriously, how sweet are these sisters?? I could have taken about a million more photos of them but I think they needed to go home…eventually anyway! They were so well behaved and certainly did bring the personality too! This session only took about an hour. Crazy, right? Miss Madelyn was 14 days new for her session and at 8 pounds, one of the bigger little girls I have had lately. But she was oh so good and oh so sweet! I love this soft pink drop and tieback by Devoted Knits and of course, this famous bunny by Marys Knittin‘! This floral crown from Baby Bliss Props is my go to headband! I love how easy it is to pop on and off during a session! Did I mention that all props are provided and your session is styled to suit your tastes? Oh yes, all you need to bring in your baby! Okay, a little confession….I’ve been wanting to use this chair and quilt for forever! Slightly obsessed…. Pink + florals + basket + baby = heaven. Backdrop by Intuition Backdrops of course! Oh that little profile! These babies simply grow up too quickly! 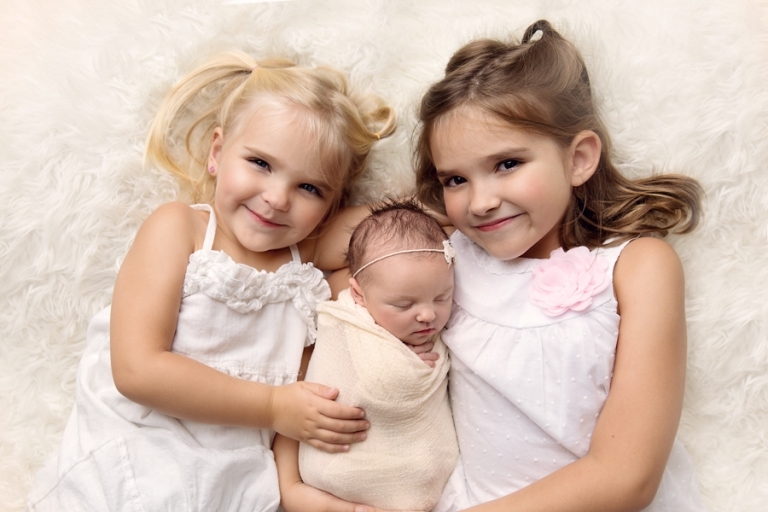 Mary Christine Photography is a Photographer in Medina Ohio specializing in newborn photography. She serves greater Northeast Ohio, including Cleveland, Akron, Medina, Wooster, Brunswick, Wadsworth, and surrounding areas.